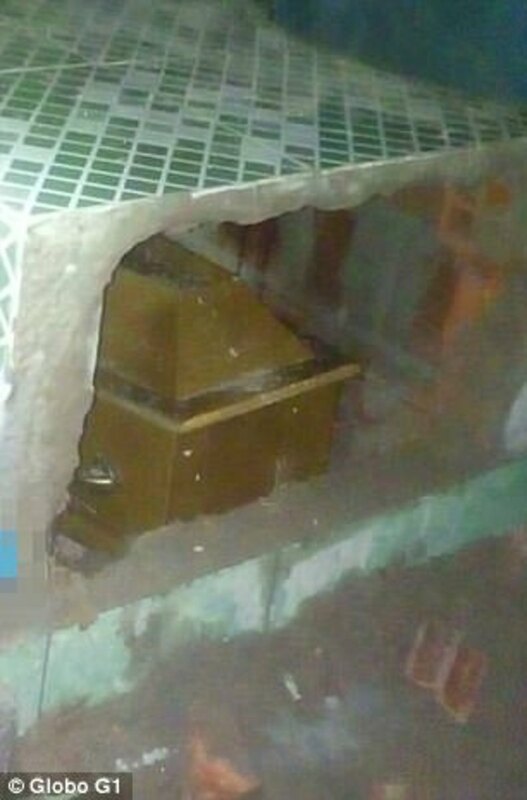 A woman in Brazil is believed to have been buried alive mistakenly and allegedly lay conscious inside of her coffin for over 11 days before she eventually fought her way back out of the tomb. 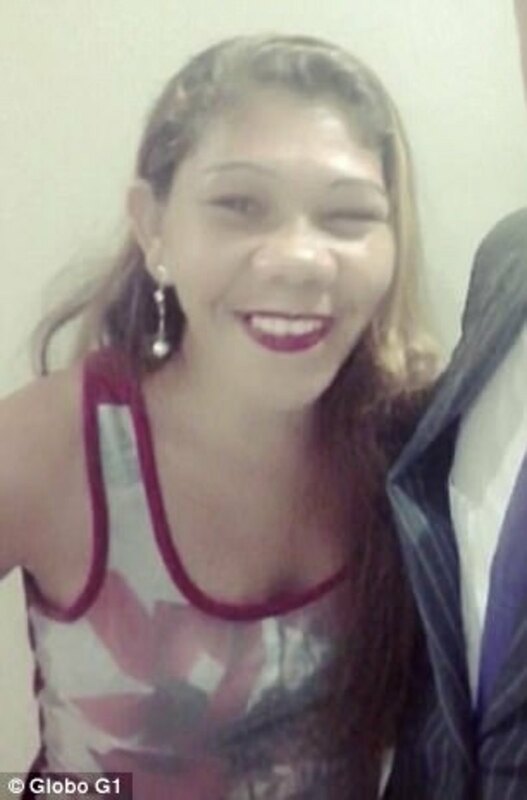 Rosangela Almeida dos Santos, 37, is said to have desperately tried to escape her wooden coffin which had been nailed shut after her burial — although she was still alive. By the time the family members came to find about reports of hearing of screams coming from her grave, Rosangela had already died; they reportedly smashed open her tomb to find she’d died trying to escape. 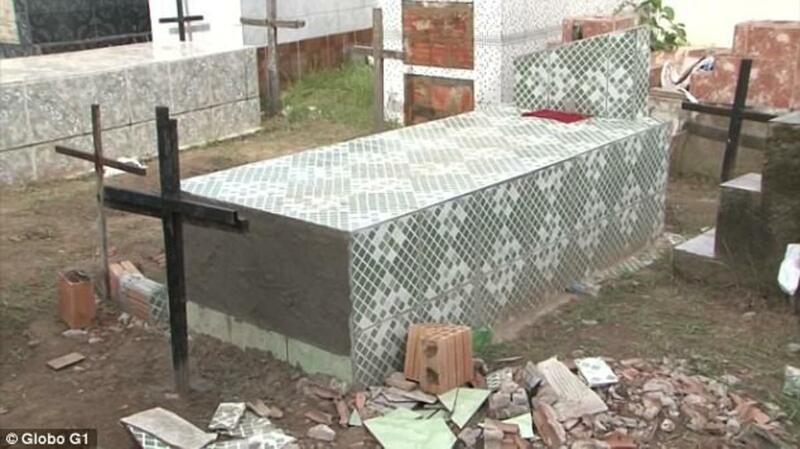 Shocking footage was released showing the commotion that took place in the Senhora Santana cemetery in Riachao das Neves, which is in northeastern Brazil, as local men of the town brought out the heavy coffin and removed its lid. Rosangela, who was a married lady, was mistakenly declared dead by the hospital on Jan. 28 and was buried the very next day. After having taken her body out of the coffin, her family noticed that her body was still warm and the cotton wool that was placed in her ears and nostrils had come out. There were also several injuries on her body which had not been there at the time of the burial. Housewife Natalina Silva told Brazil’s G1 website that many people had heard subdued screams coming from the tomb during the night. ‘When I got there right in front of the tomb, I heard banging from inside it. I thought the kids who play around the cemetery were playing a joke on me,’ she said. Germana de Almeida, 66, the mother of Rosangela, said that they found injuries on her body which had not been there at the time of her burial. ‘We don’t want to accuse any doctor, we don’t want to cause any problems, but we witnessed that situation, there’s just no way a person can be buried for 11 days and still be warm,’ said Rosangela’s sister, Isamara Almeida. The leading official of the investigation, Police Chief Arnaldo Monte, said: ‘We have today started to take statements from family members and other people. She Posts A Photo of Her Baby Boy on Facebook. A Little While Later He Dies, and Anyone Could’ve Seen it Coming.